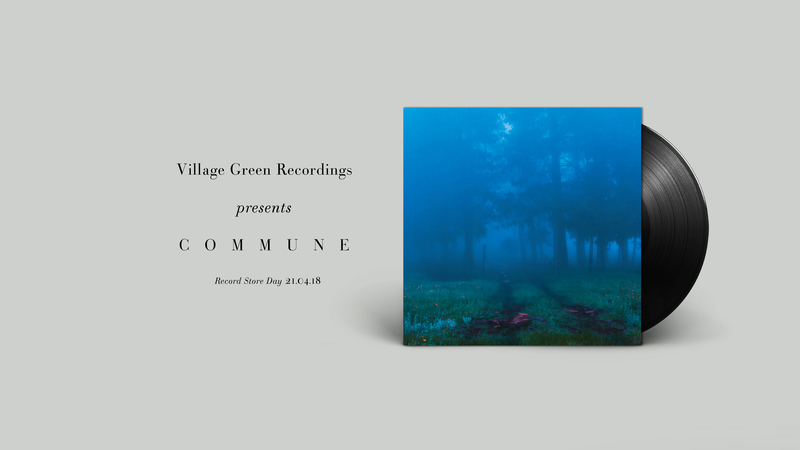 Village Green’s Record Store Day release for 2018 sees three of the label’s most treasured artists come together for a special, exclusive vinyl release - 'Commune'. This limited release contains three brand new pieces, written for Record Store Day and released on a double-sided 12-inch vinyl, representing a taster of new material to come from all three artists. Angèle David-Guillou, fresh off the back of October’s En Mouvement and its accompanying Mouvements Organiques, released in February, develops her compositional skills with ‘The Valley Of Detachment’ – a potent and formidable study in writing for the saxophone family. Dead Light’s ‘Spiral Down Dears’ continues with the rich warmth of their debut album. Their distinctive, nostalgic sound, created using analogue tape recorders, closely microphoned instrumentation and a handmade approach to effects and synthesis is as affecting here as ever, building slowly to an emotional climax. Lastly, Snow Palms, aka David Sheppard, transforms labelmate Matt Dunkley’s ‘Cycle 12’ from orchestral grandeur into a multi-layered, highly evocative exercise in synths and mallets, using chopped-up vocal samples and lush electronics along the way. Listen below.